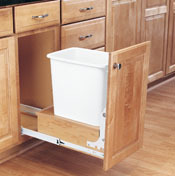 Made from solid maple construction, the Bottom Mount Pull-Out Waste Containers are available in a single 35 Qt. 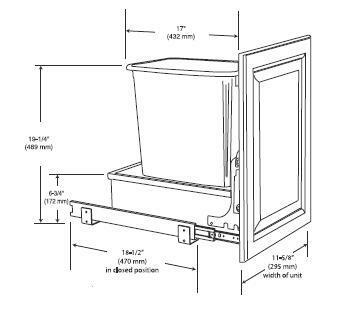 or double 35 Qt. variety. 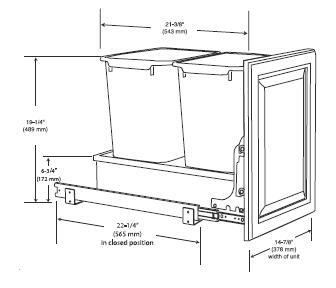 This line of waste container encases the containers in a durable wood base at the bottom of the cabinet to allow easy retrieval of the waste bins and features full-extension ball bearing slides with pre-assembled door mount brackets.